Lie on the decline bench. Grab the barbell using a wide grip (approximately 3-4 inches wider than shoulder width on both sides) and lift it above your chest. The bar should be perpendicular to the floor and your body. This will be your starting position. 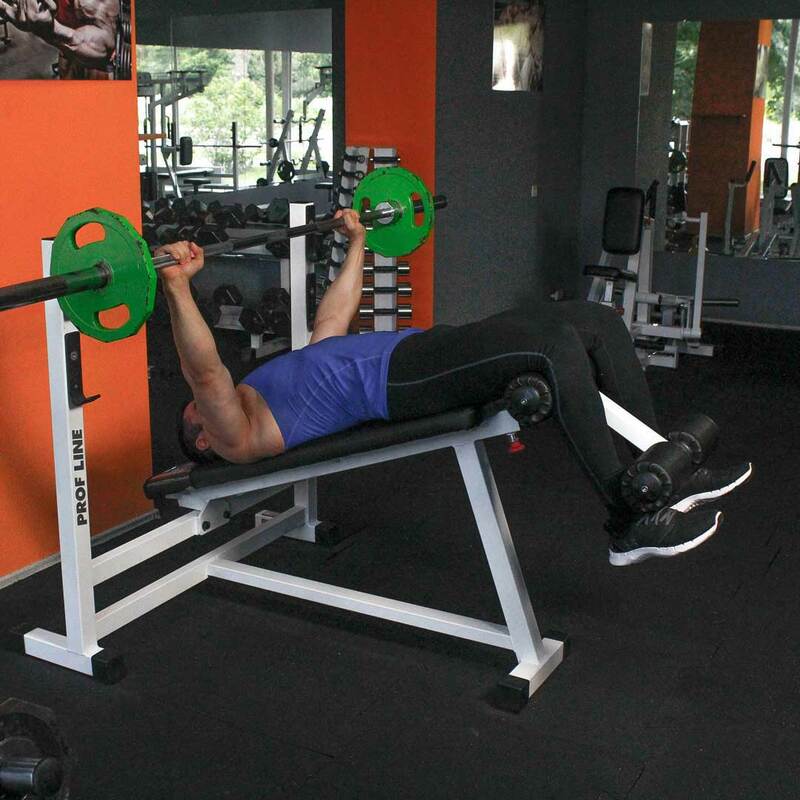 Inhaling, slowly lower the barbell until the bar touches your lower chest. After a brief pause, return the barbell back to the starting position as you exhale. Focus on pushing the bar using your chest muscles. Lock your arms at the top position and squeeze your chest. After a brief pause, begin coming down. Ideally, lowering movement should take at least twice as long to go down than to come up. Place the bar back on the rack.